Jacob Freeman, EVGA Product Manager, introduces the SC17 Gaming Laptop. 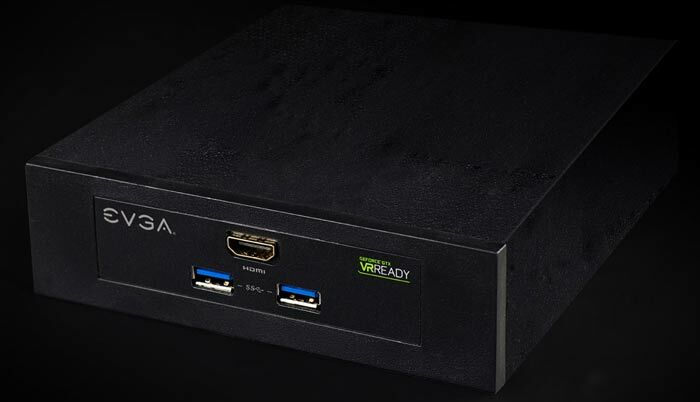 EVGA has announced a number of new and updated products at the CES 2016 in Las Vegas. It hopes that the new products will "further set EVGA apart from the competition". Looking through the new offerings, perhaps the most interesting product is EVGA's first laptop, the 4K-ready EVGA SC17 Gaming Laptop. Other highlighted new products at CES are the EVGA GeForce GTX 980 Ti VR Edition, EVGA QRC/QRG (Quick Release CPU/ Quick Release GPU) Water Cooling solution, EVGA Gaming Case (Final Name TBA) the "first PC Gaming Case Designed for GPU Cooling" and the EVGA Pro Audio Card (Final Name TBA). 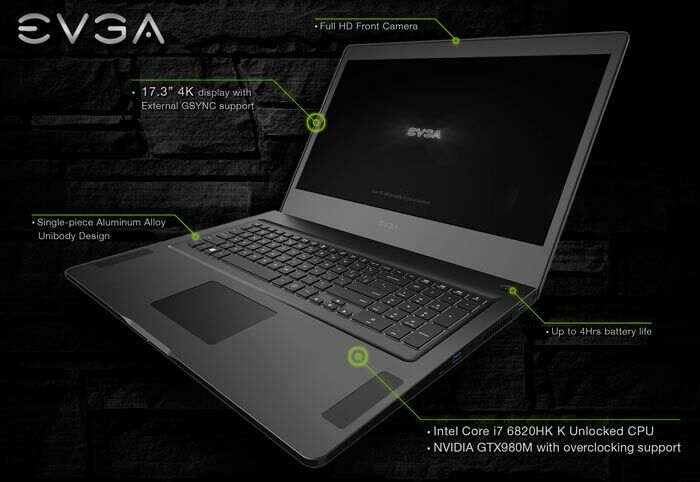 To publicise the SC17 Gaming Laptop EVGA has put together a video highlight reel, embedded above. As there is no official product page at the time of writing, and we are told to stay tuned for more details, I'm happy that the video contains the key specifications of the 'superclocked' SC17 components to complement the press release and images we received. Now let's move on to the other EVGA products highlighted at CES 2016. As mentioned in the intro, there is a new graphics card based around Nvidia's GTX 980 Ti GPU. The EVGA GeForce GTX 980 Ti VR Edition is designed with a drive bay (pictured below) to facilitate front HDMI/USB 3.0 access, a mini HDMI port is also directly on the card and the card will be available in blower and ACX 2.0+ versions. A new closed loop water cooling solution is being readied called the EVGA QRC/QRG (Quick Release CPU/ Quick Release GPU) Water Cooling system. It works for both CPUs and GPUs and its quick disconnect/connect allows flexibility, up to 4-Way SLI and multiple CPUs.